Will New Neutrality Order Change Anything? Everyone has an opinion on Net neutrality. Like other issues that get a lot of public debate, a big part of the debate is a defense of someone's self-interest. Net neutrality, we could safely say, is whatever view on the Internet balance of power happens to favor the interests of someone. The deciding vote, however, is likely cast by the FCC, and it officially released its view just a month ago, in a notice of proposed rulemaking (NPRM). It's not a final order, but it's a strong hint at what the FCC intends, and that could be critical for the industry. Let's look at what the NPRM does, and doesn't, do. So, the FCC has repealed Net neutrality? No; it has simply served the legal notice that's required in advance of making new rules. It will probably take the rest of this year before the FCC even publishes an order, and then some time for the order to take effect. In the meantime, in theory at least, the prior rules will apply. Still, you can read the NPRM's background information and see the FCC's intent. At the core is a determination to void the previous FCC order that declared the Internet a telecommunications service, regulated under Title II of the Communications Act. So then the FCC is intent on removing public utility and common carrier regulation from the Internet, right? Wrong; such regulation was never there in the first place. The current FCC action would void the "Title II Order" that classified the Internet as a telecommunications service. The FCC, at the same time, exercised a section (Sec. 706) of the Telecom Act to "forebear" from applying virtually all those utility-and-carrier rules to the Internet. That means it never intended -- and never took any step -- to regulate the Internet as a common carrier service. What was behind the regulatory shift in the first place? Two things. First, politics. Historically, Republican administrations have generally appointed FCC commissioners who have favored the Internet service providers, while Democratic appointees have favored over-the-top (OTT) providers. Every time the presidency changes from one party to the other, the FCC does too. Second, as the Internet became more competitive, it's became more important. Things that would never have happened in the past started happening. We had appeals of FCC jurisdiction in imposing any regulation and accusations that ISPs had interfered with lawful traffic, to gain advantage. Repealing Net neutrality will restore the Internet in the market-driven state that made it successful, then? No, it will leave the Internet in limbo in a very real sense. The appellate courts have been striking down the FCC's orders on Net neutrality. However, the threat these orders would be applied has kept most of the Internet providers on a short leash. Absent some dramatic step to establish that the FCC actually has authority to regulate the Internet, we'll have to see whether the free market will impose enough discipline on providers to protect the Internet. With no regulation, would we see ISPs blocking content or interfering with competitive services? That's the big question. Most people think that "neutrality" means non-blocking and non-discrimination. It's neither totally clear whether the FCC would have even enough authority to impose those basic rules, nor whether ISPs would voluntarily apply them -- or that adverse publicity would force them to abandon such practices. If neither of these "free market" approaches restricts ISP behavior, then we may have to test the authority of the FCC or some other body like the Federal Trade Commission in court. What about the "settlement" or "paid prioritization" issues we hear about? The FCC has gradually been moving to address the notion that ISPs should be allowed to charge other ISPs when they handle the others' traffic. For almost 20 years, ISPs have also been interested in being able to charge for premium handling of traffic, either charging the consumer (the "turbo button") or the content provider. In the Title II Order, the FCC said it would not permit either of these. It appears that if the current FCC repeals that order, both could happen. Would paid prioritization and settlement hurt the Internet? That's very hard to say, because they'd probably help the ISPs and hurt some OTTs. If content startups had to pay for traffic handling in any way, it would raise their costs and lower expected venture capital returns. On the other hand, we've had several years of declining investment in Internet infrastructure because ISP profit per bit has been shrinking sharply. Some think that the market should be allowed to seek a balance, because it is very unlikely either the OTTs or the ISPs would take steps that would threaten the Internet itself. My own view is that the FCC has over-regulated these past eight years. 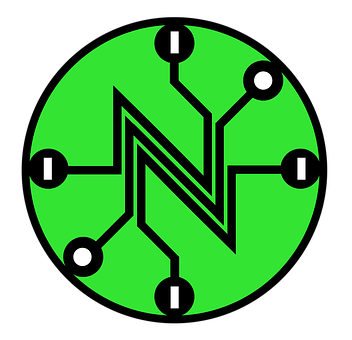 I think settlement and paid prioritization would be valuable to the Internet overall, and they may even be essential to its future. I wish we could have had an honest industry debate on these issues, but I think that's impossible and so we should probably let the market decide, and repeal the Title II Order.